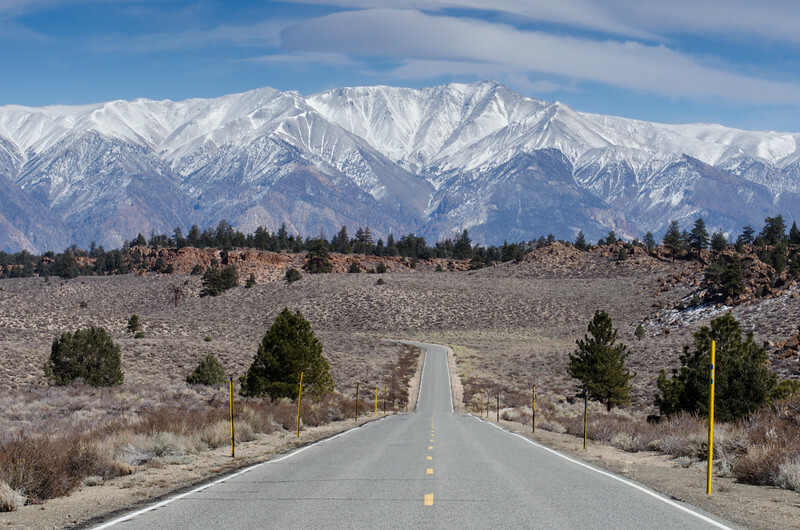 Benton Crossing Road and the White Mountains near Mammoth Lakes, California. I like compressing distances with my 70-300mm telephoto lens -- even if it's a cheap whoreish photographic trick. Many more photos on my SmugMug site. And follow me on Twitter. This photo ©Steve Hymon and may not be used without advanced written permission. All rights reserved.